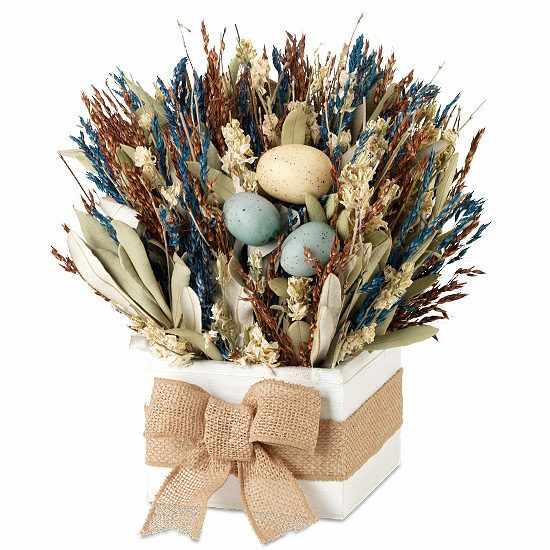 Welcome spring with an arrangement that showcases the season’s harbinger, the robin’s egg. A trio of faux eggs in blue and cream watch over a gathering of grasses that appear to be plucked from the countryside. The hand-crafted wooden box is tied with a generous burlap bow. It’s a very special Easter gift, as well as welcome springtime décor in your own home.